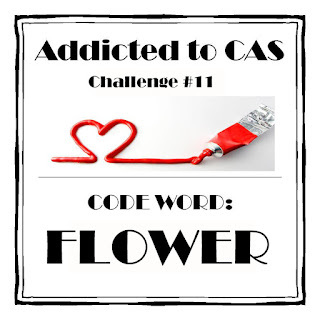 Es gibt bei Addicted to CAS wieder eine wunderbare neue Challenge: Flower! Hi Christine. Fantastic! I love this. 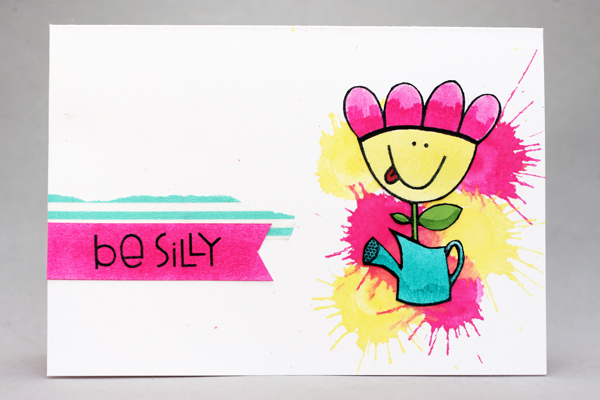 A pretty, fun card Christine! Love your flower and the splashes of colour. Macht nach einem stressigen Früdienst mit Überstunden echt Laune - DANKE! Gorgeous !!! Love the bright colours and the fun design this really brightened up my day when I saw it. This card made me SMILE!! Thanks for making me smile!! This is definitely a fun and silly image and made me smile! Great take on the code word Christine! What a gorgeous fun card Christine......love the paint splotches. I am in LOVE with those paint splotches! The colors you chose are so bright and happy and make me feel good. :) I love that flower too...so cute! Awesome! Such a happy, cheerful card! And I love the paint splotches as well!